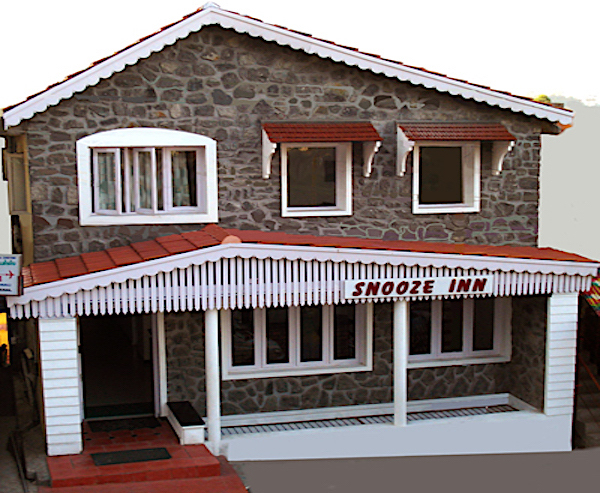 Snooze Inn is situated in the heart of the Kodaikanal. You have a choice of Vegetarian, Non-Vegetarian, North Indian & South Indian Restaurants close by. If you are a shopping enthusiast, you will find a variety of shops that you can easily go by foot. Snooze Inn is also walking distance from the major attractions of Kodaikanal - the Lake, Coakers Walk, Bryant Park, etc. All rooms bath attached with running hot and cold water. Intercoms in all the rooms. Reservations can be made by phone or email. Snooze Inn staff will contact you within 24 hrs to collect the payment & then confirm the reservation. ** Taxes additional ; Rates are subject to change. Check with hotel at the time of booking.